Firstly, the health and fitness industry in India is poised at an inflection point, with high market fragmentation, stupendous market potential, and end-to-end overall growth. Several new business models are emerging to disrupt this industry. There has never been a better time to enter the fitness market with an awareness of the importance of health and fitness that continues to raise consumer demands and technological developments. From being a non-existent upper middle class dominated industry to a market which is highly looked upon in India; the golden age of fitness is here. Thanks to today’s fast-paced, hectic modern lifestyles which seldom allow a person to workout actively or follow a well-crafted fitness regime. 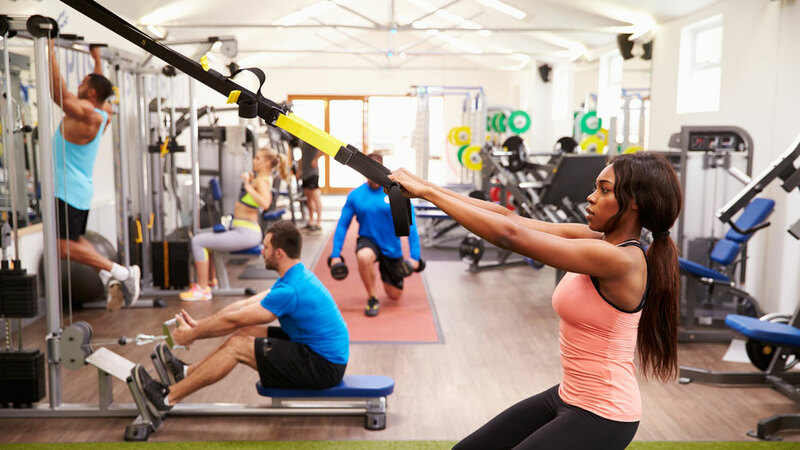 Big fitness chains and gyms are already expanding their product and services to tap into the market in each and every way possible and reach out to potential customers. Given the various and messy Indian market, franchising has caught on really fast. “Many small business owners run their business very successfully, but they have their own limitations as well. There seems to be a lack of vision of expansion and growth which is direly required to be successful in terms of your presence across the globe”, said the Director, Anytime Fitness. “The franchise model allows brands to scale up at a much quicker pace as compared to what they would be capable of doing on their own. It increases the reach of a brand in terms of cities and member base. This reach directly has a proportion to the increase in visibility of brand across the nation”, said Karan Valecha, Director & Co-Founder, Gold’s Gym. “Thanks to the growing relationship between franchisor-franchisee and the in-depth knowledge gained with the growth thanks to franchising, dynamics such as a location’s demographics and psychographics of the customer bases is understood better and the franchisor is able to use different business strategies and tactic that works for that particular location enabling the chances of the success of the local franchisee”, said the Co-Founder, Gold’s Gym. Franchising in every way, Vikas explains, provides an exposure to fitness because earlier fitness was not even considered as a business. Now that people know about gyms, they are ready to make investments in it but they lack the know-how of doing a gym business. “Franchising is the route to get a handful of knowledge about the industry in particular. And when passion and business meet they get the formula for success”, added the Director, Anytime Fitness. “Perhaps, the business model remains the same. But franchising is becoming way more popular and more people are opting for franchising as they feel that they can get on the success wagon of the brand”, exclaimed Vikas Jain. There are a lot of people who are fitness freaks and they want to add value to the city they live in, which is the way I started out”, says an energetic Divya Himatsingka, Director, Skulpt Gym. For Divya, the exposure comes on the floor. "The future is bright but again, different parts of the country operate differently.” Going by the survey, the people in the East and South are relatively is much lower to fitness as compared to Mumbai and other parts of the country. “There has to be a lot more awareness and consciousness to turn it into a successful business plan”, said Divya. Redefining The Fashion Mantra Via Franchising..